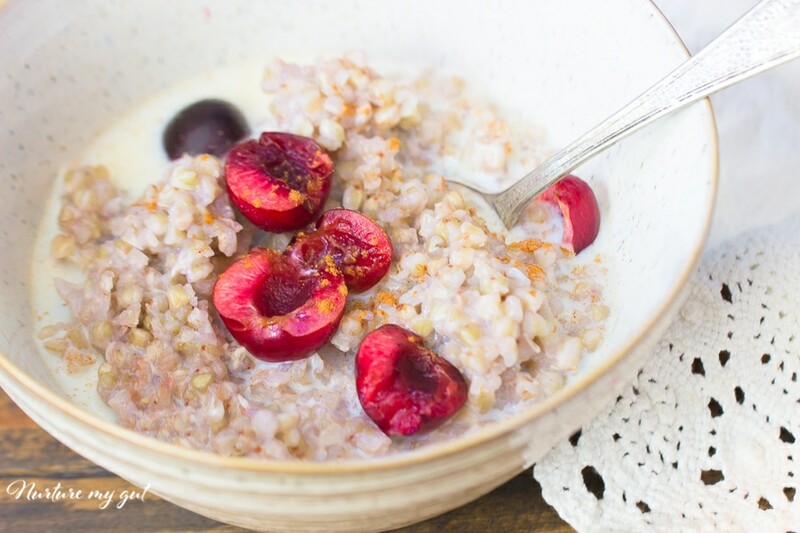 Easy Buckwheat Porridge for Breakfast-a delicious gluten free comfort food that is rich in zinc, copper and manganese. This complete protein is loaded with all 9 essential amino acids and tons of fiber! 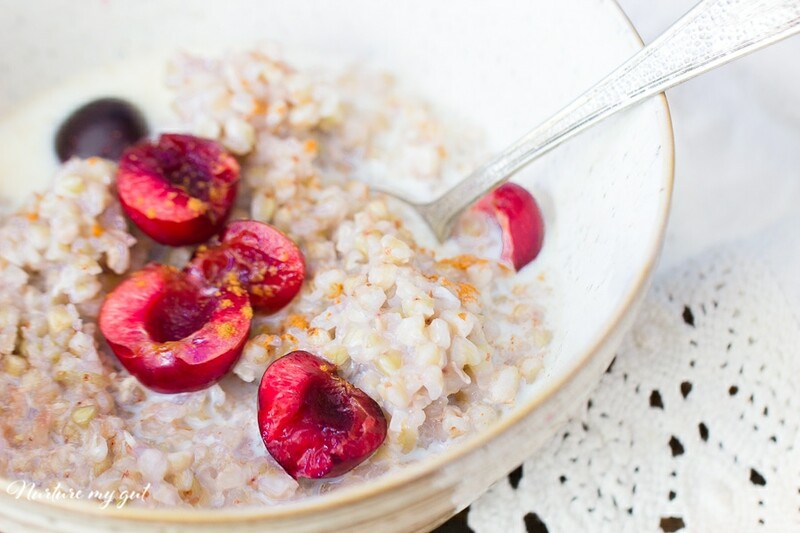 Turn this simple porridge into a family favorite by topping it off with fresh cherries, cinnamon, vanilla and a splash of almond milk! If you are like me, then you love to indulge in comfort food. Comfort food just gives us this cozy, welcoming feeling, that we all seem to love. What could be better than starting your day off with food that feels like home? How about a comfort breakfast food that is also quick, delicious and kid-approved? 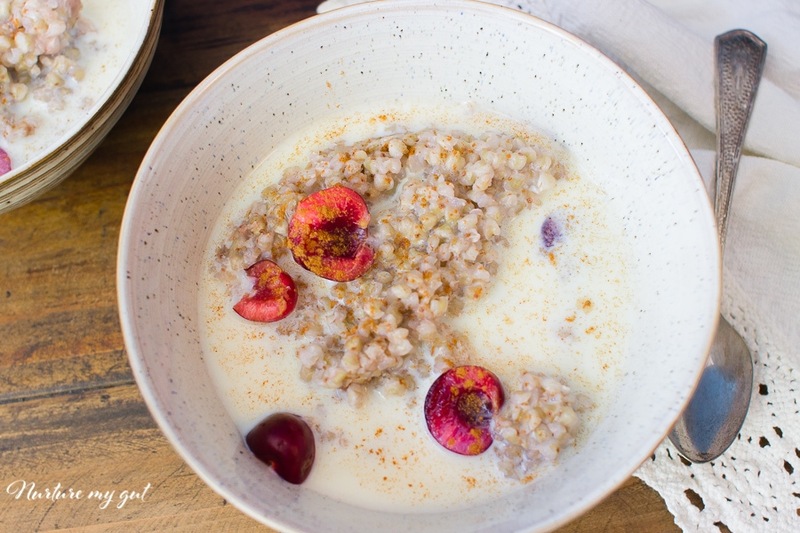 My recipe for Easy Buckwheat Porridge for Breakfast hits the nail on the head when it comes to comfort food. It is warm, filling and easy on the gut (it’s really a fruit seed-not a grain!). 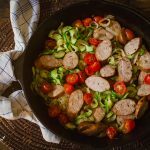 An added bonus is that my entire family will eat this one pot breakfast! My family and I started eating buckwheat about 7 years ago after we did the Body Ecology Diet to improve our kids immune system. 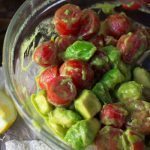 It was a requirement to eat “whole gluten free grains.” Buckwheat was absolutely new to me and my family and I attempted several different ways to eat it and my kids protested! One day I decided to make it sweet instead of savory, it was a hit! My kids loved it! 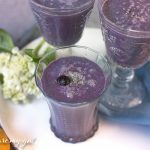 This was our favorite recipe to enjoy for breakfast; we ate it every other morning! It is still a family favorite in my house! We just love how easy it is to make and how each person can pick his/her own topping, giving each bowl a unique flavor. 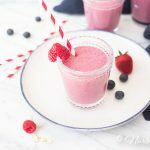 It can be topped off with cherries, berries or bananas. 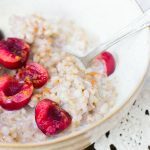 My kids favorite way to eat this Easy Buckwheat Porridge for Breakfast is to top it off with cherries, a bit of vanilla, cinnamon, homemade almond milk and a drizzle of maple syrup. It has the most amazing flavor and we love the vibrant color the cherries add. Despite having the word “wheat” in it’s name, buckwheat is actually not derived from wheat at all. Buckwheat is actually a fruit seed, which makes it very digestible and easy on the gut. We consume buckwheat as if it was a grain, much like the way we consume quinoa (another great gluten-free pseudocereal). 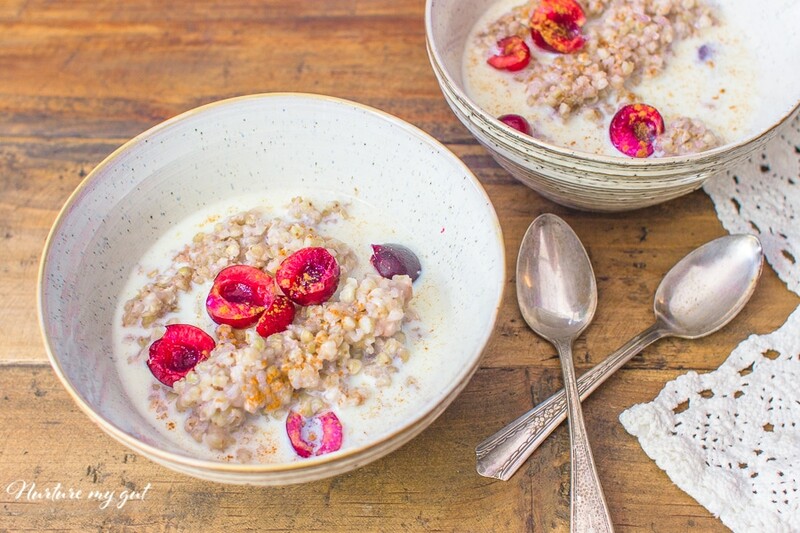 You won’t believe how quickly this porridge comes together! While I am preparing the buckwheat groats, I have my children decide on the toppings they want to add to each of their bowls. After 10 minutes, turn off the heat. Do not open the lid. Allow the groats to steam for another 5 minutes. Fluff the buckwheat groats with a fork and serve. Top with your favorite fruit- we love cherries, almond milk, a splash of vanilla, a dash of cinnamon, and a drizzle of maple syrup or honey. The almond milk helps to thin out the buckwheat groats while also cooling them down so they can be enjoyed immediately! Tip: If you have left-over fruit topping from your Easy Buckwheat Porridge then save it for quick and accessible snacks for your family. Just store them in the ziploc bag and put them right in the fridge. Or use the fruit to make a delicious fruit smoothie, like our Restorative Banana Ginger Green Smoothie or Chocolate Cherry Smoothie. 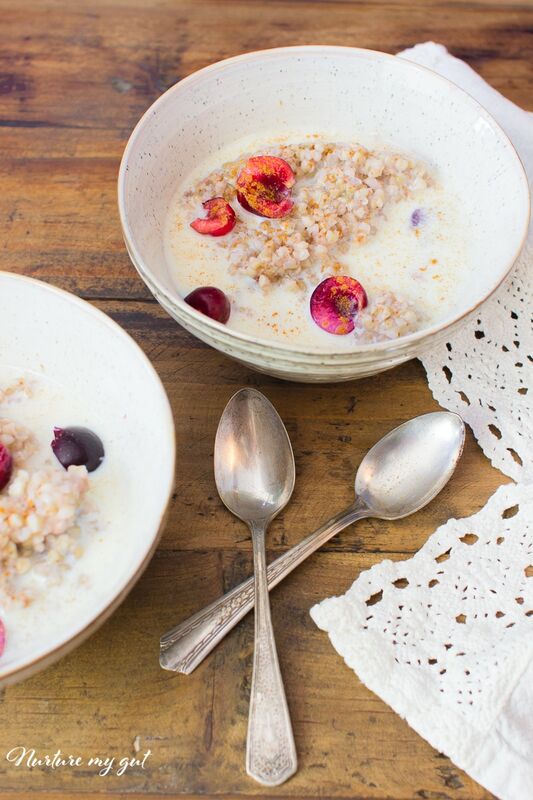 I really can’t get enough of this fast, yet scrumptious porridge! It has the most amazing taste and the cherries just pop in your mouth when you eat them. This actually reminds me of my favorite ice cream- cherry jubilee! It honestly feels like I am enjoying a sweet dessert at the beginning of my day! 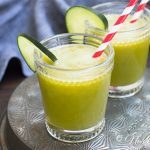 Try out more of our delicious breakfast recipes like the Oatmeal Breakfast Smoothies or the Paleo Breakfast Burritos with Potato and Chorizo. Add buckwheat groats and water to a small pot to medium high heat. Bring to a boil and reduce to a simmer. Cover pot with a lid and put heat on low. Simmer 10 minutes, do not overcook. I use a timer. After 10 minutes, turn off heat. Do not open lid, allow it to steam for another 5 minutes. Fluff with a fork and serve. Top with cherries, almond milk, a splash of vanilla, a dash of cinnamon and a drizzle of maple syrup or honey. Thanks for the inspiration! I knew I should be eating buckwheat, and I sometimes cook it with mushrooms and scrambled eggs, but I was bored of that. This is a brilliant twist! Holy breakfast, Batman! How have I not had this before. Its fantastic and I can’t wait to try it in other ways. Thank you!